Voice Over Actor passionately acting out the character even though he can’t be seen. The entertainment world is incredibly diverse, and more opportunities than ever before exist to break into the field of voice acting. One perfect example is the world of voice acting, and today it’s possible to start a career in voice acting and follow your dreams further than you might suspect. Voice actors use their voice to bring animated characters to life, handle voice-overs in radio or TV commercials, narrate documentaries, and more. Their voice is their calling card, and while they may never be recognized on the street they’ll still be able to have a rewarding career in a field that they love. There’s never been a better time to start working towards becoming a voice over actor, either. Modern technology and the rise of the internet has made it easier for anyone to start taking steps towards honing their craft, getting noticed, and finding work. But despite how much easier things are, there are still several key steps that need to be followed if you want to break into the field. The first step is honing your talent into something that will actually take you far. Raw, natural talent is a great foundation but until you take the next steps and develop it into real skill you will find that it’s harder to land the right job for your needs. The reason is simple – traditional actors can use body language and facial expressions to convey emotion and add depth to a character. Voice actors have to do so entirely with their voice. That can take some additional steps, and knowing how to do it is important. Here are some tips that will help you develop your skills. Voice Lessons – Regular voice lessons will help a lot. This can help you understand how to control your volume and sound, how to develop a better vocal range, and identify any problems with clear speaking that you may have. Acting Class – Yes, we’re talking about traditional acting here. But the foundation of acting applies across all the various disciplines, and voice actors will benefit greatly from acting classes. It can help you understand how to bring characters to life more effectively. Imitation – You may never end up having to do an impression of Michael Caine or Christopher Walken, but being able to do impressions can help you recognize speech patterns, identify tone or pitch, develop more flexibility, and even give you some material to include on an audition or demo reel. Work on impressions to get more from your craft. Record, Lesson, And Repeat – You may think you have a great voice, but can you really translate that to recordings? Download some free recording software and record yourself reading a monologue or reading a part from a script. Don’t improve here – just read and act. Then listen back to it. You may identify areas where you need to modify your sound. Practice – This one’s obvious, but still important. As a voice actor you’re not going to be ad-libbing all the time. Instead, you’ll be reading from a script and as a result it’s important that you master this art. Take the time every day to read things out loud, whether it’s a magazine article, a script, or just the local news. Once you hone your craft, you’re ready to start taking the first steps into the business of voice acting. There are a lot of different paths you can take here, and a lot of different prospective careers you can end up in. Here are some of the steps that can help you move towards your goals. Create Your Demo – A demo reel is essentially a clip of audio that showcases your talents. Instead of headshots or acting auditions, your demo reel will be the key thing that speaks for you. Always include your best material within the first few seconds, otherwise a listener will just move on to the next reel in their pile. You can use whatever you want here – original work, impressions, or a mixture of the two. The key is to represent your strongest areas quickly. Find Openings – The internet makes it easy to find potential voice over opportunities and submit your demo reel. Make sure that you review the different things that each specific job is looking for and ensure that your demo reel highlights your ability to do so – a job asking for a serious, dramatic voice for the news probably isn’t the best one to send your reel of wacky impressions to. Consider an Agent – A talent agent can sometimes help you land the better career opportunities. They’ll notify you of casting calls, help track down the right matches for your needs, and more. An agent is indispensable for many voice actors, but others have used the internet and its resources to land work instead. Consider both and find what works for you. Create Your Brand – The internet can be used to build up your brand immediately. A YouTube channel with your voice over work, a website promoting yourself, and other steps can all help you stand out and get noticed. It won’t replace the old-fashioned method of creating a demo reel and finding voice over casting calls, but it can still help you build a career. Remember that no two people are the same, and won’t have the same experiences breaking into voice acting. And also keep in mind that the possibilities for voice over work are numerous. Just because you want to do character work, you shouldn’t ignore a casting call for a radio commercial. It’s all about building your resume, getting experience, and honing your craft. Don’t think that you’re too good for a particular gig just because it isn’t your dream spot – you have to work your way to that ultimate goal. 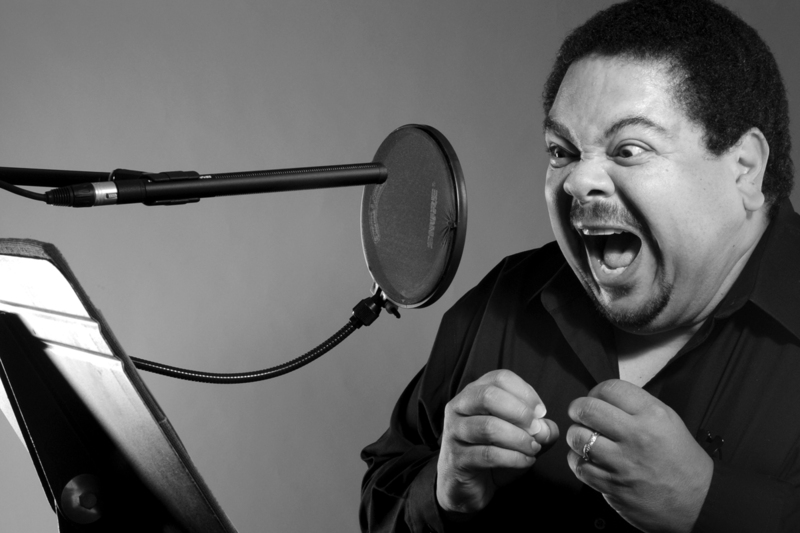 There are countless gigs out there for voice over work, and the field is rapidly expanding. If you’ve ever wanted to start trying to break into this field, there has never been a better time to do just that.